So, you need a family attorney. You need help with a divorce, alimony or custody issue. A lot is at stake and you want the best attorney. Will just any attorney do? 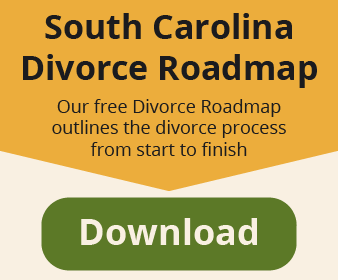 Do you need someone focused on divorce and custody? Should you be leery of attorneys that work in various other practice areas simultaneously? Divorce, custody or other family law issues are extremely important to us. Every bit as important as a major medical situation such as brain or heart surgery. Attorneys are like doctors in the sense of working in certain practices areas of focus or specialization. If you are a licensed attorney, legally, you can work in a wide variety of practice areas like intellectual property, personal injury, bankruptcy, mergers and acquisitions, DUI, corporate law, dog bites, maritime law or environmental law. The same thing for doctors. if you have a medical license legally there’s nothing holding you back from performing brain surgery one day, being a podiatrist the next day, being an ear nose and throat doctor , the day after that treating someone for intestinal diseases or infected to diseases or even being a general practitioner and doing your annual physical. Imagine though, If you needed brain surgery. Would you go to the ear, nose and throat doctor? Would you go to the guy at the urgent care that hands out aspirin? You’d want the expert in brain surgery for your procedure, right. The same applies to your divorce. You’d want the lawyer that focuses exclusively on divorce and family law matters. You can easily find the firms handle a wide variety of different practice areas of law. Yet, do you really want to go to the patent attorney for your divorce? Different areas of law have different courts, different sets of laws, different judges and even different local procedures. Every attorney has gone to law school and learned something about family lawn. Every attorney is ahead of the game compared to the average person who’s never gone through a divorce. However, Not every attorney spends their entire career working in the family law arena. Does this mean law firms that work in multiple areas are to be avoided? Not necessarily, sometimes a firm will have different practice areas because they have different attorneys in their firm focus in one or the other of those practice areas. Their attorney that works in family law may do that day in and day out and be a bona-fide expert. On the other hand, some law firms don’t want to miss out on any business that might walk in their door and so they tried to cover as many practice areas as possible hoping that if you have a DUI one day and a criminal case the next and a divorce after that they have you covered as a one stop shop. Isn’t this like the doctor that tries to tell you that they are the perfect brain surgeon and the perfect ear nose and throat doctor, and the perfect proctologist all rolled into one? You need to decide this question on your own. Only you know what’s best for you. Brain surgery from a proctologist? Divorce representation from an immigration lawyer? You get to choose. We focus on exclusively family law. Let’s chat at one of our free consultations and see if we are right for you.